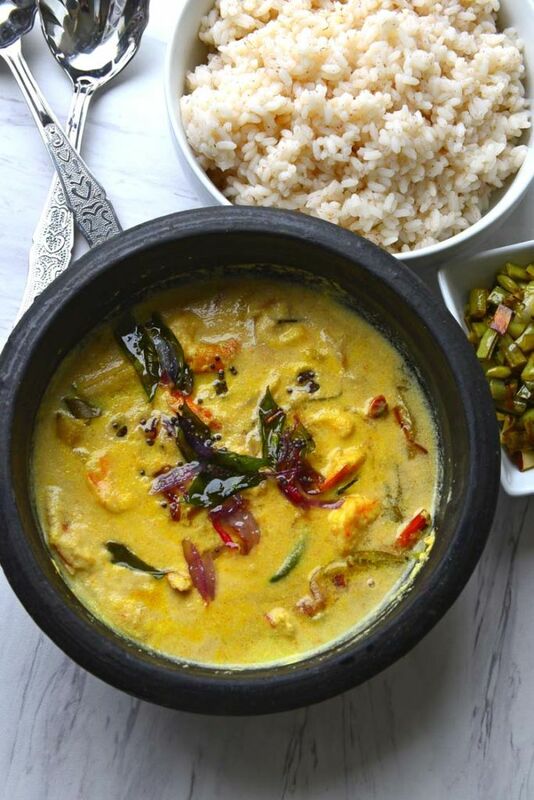 This is a popular Kerala curry served with matta rice – Chemmeen Manga Curry – or Shrimp Curry with Raw Mangoes. 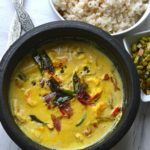 The mangoes infuse the curry with a unique tangy flavor while the ever-present coconut ties the flavors together. 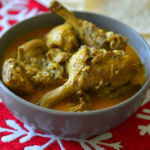 Hot coconut oil tempered curry leaves and spices add the finishing touches to this curry. 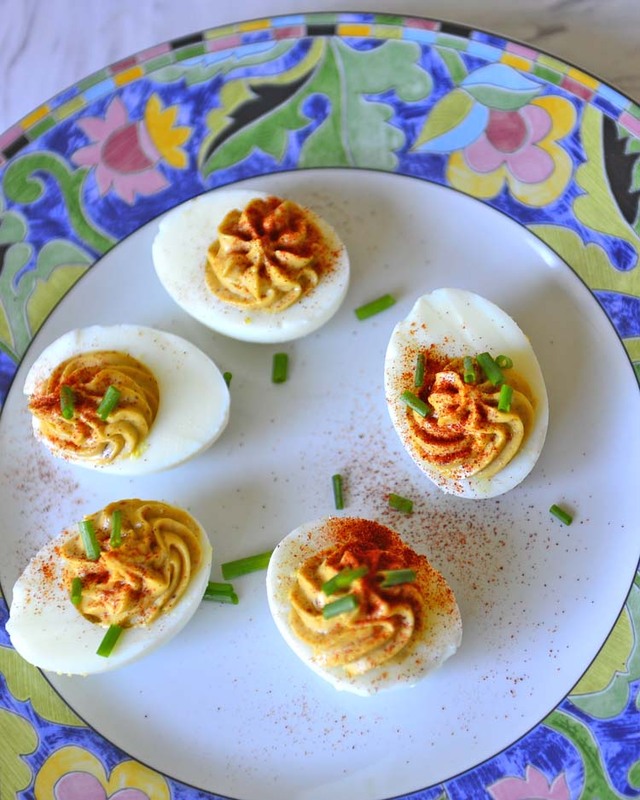 The dish is made with few ingredients and the simplicity belies the clean fresh flavors. We grew up eating a lot of seafood, the delicious kind. I am not sure if I ever had an “yuck fish ” moment when mom was cooking. It was more of a fight between sis and I to see who got the crispiest fried piece or the coveted slice in the curry. Rice, a seafood curry and may be a side dish of vegetables is all that a Malayali needs to make a meal complete. We don’t complain about the lack of appetizer , or the dessert. A glass of toddy, beer or jeera water would have been nice , but we will make do with a glass of water. Just to be clear I prefer the jeera water. Coming back tot he fish, in those days we used to get a good variety of fresh fish. Everything was seasonal and tasted its beast. None of the supermarket variety can quite match the taste of the fresh catch. (Hint Hint DH – time to dust off the fishing rod). Most of the fish that we had as kids were the small kind. The coastal communities knew that the small ones had more flavor and nutrients compared to the large catch. It is a plus that the inland communities would pay more for the large ones, sell the large fish for more money and eat the smaller ones for more nutrition. As kids we thought of shrimp as a treat – easy to east , delicious and no bones to worry about. Even now I usually have a pack of frozen shrimp in the freezer – easy to cook, easy to eat and thankfully no one here have shellfish allergy. Shrimp is perfect to make curries , fries , cutlets and many other things. Make shrimp curry and serve with rice for an easy weeknight dinner. There are a few other shrimp curries in this blog as well. South Indian seafood curries are usually flavored with hot chilies and a tangy ingredient like tamarind, kokum or tomato. During mango season in Kerala fresh raw mangoes are used to add tartness to the curry. The raw mangoes add an extra layer of flavor that goes extremely well with the coconut and chilies. The cooked mango pulp adds to the body of the curry as well. Here is everything you need to make this recipe. Whole mustard seeds and fenugreek seeds can be found in Indian/ Asian stores and sometimes in natural/health food stores. 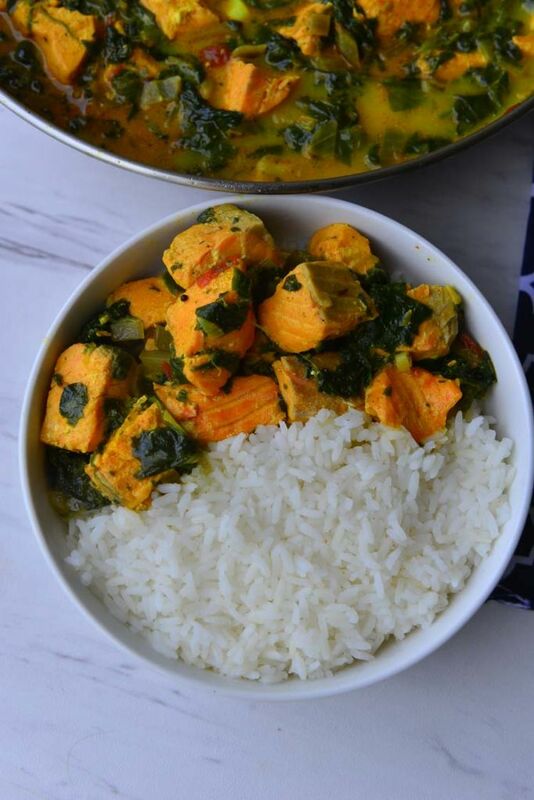 You can make this curry without curry leaves, fenugreek or mustard as well. The curry will turn out delicious, but if you are looking for authentic flavors try to get all the ingredients. This combination of flavors is not unique to Kerala. I have come across Thai and Jamaican versions of similar recipe (Of course they all copied us ). 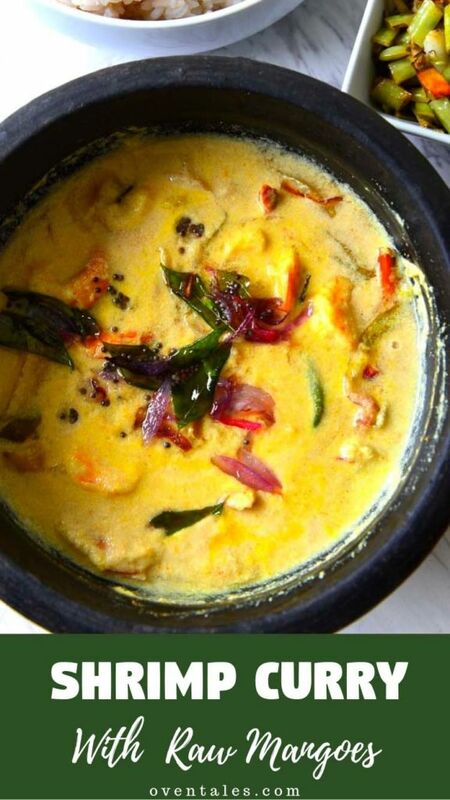 But my favorite still is the Kerala style Chemmeen Manga Curry or Shrimp Curry with Raw Mangoes . There are a wide variety of mangoes available in India. Some varieties were used only for cooking while some are used exclusively to make pickles and some were only eaten after ripening. 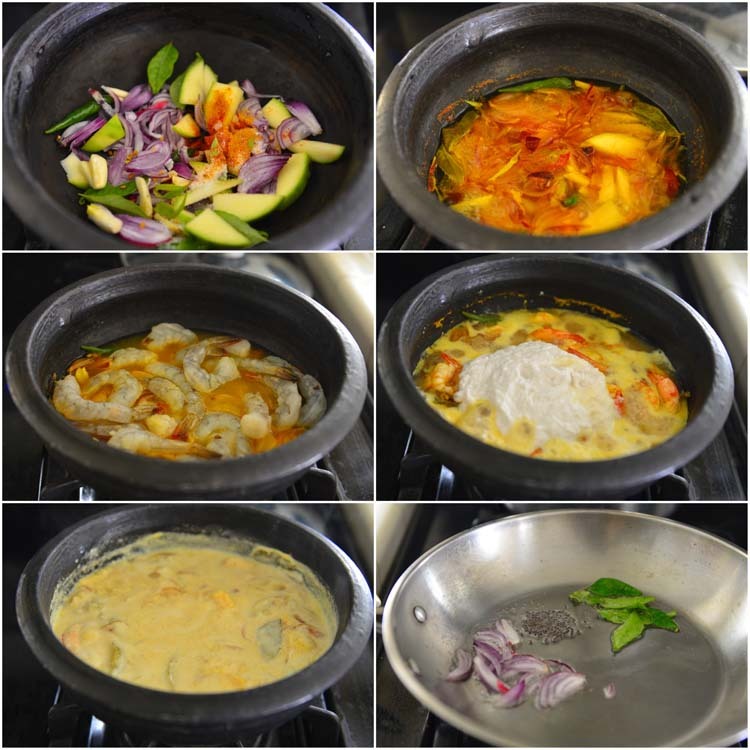 Some of these were a little tricky – the raw mango will taste mild after cooking it will be the tartest ever ! The raw mangoes I get here, (so far there has been just one variety) are more predictable. 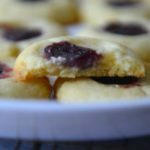 They are a little sour raw and stays the same after cooking. It is still a good idea to start cooking with a little and adjust to taste later. Personally I don’t think that a chemmeen manga curry that is tart is a bad thing , but others seem to disagree. Chemmeen in Malayalam refers to prawns or shrimp . Don’t ask me whether to use shrimp or prawns. Use either. The taste buds, in this case, does not care about the technical definitions. Even the tiny paddy shrimp are great in this curry – but these are a royal pain to clean, and I for one haven’t come across this variety in a long time. If you get fresh shrimp use it , other wise use frozen ones. Use raw shrimp though, the cooked ones does not impart quite the same flavors. Whether to leave the tail on or not is totally up to you. 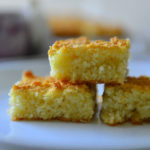 There are 2 ways coconut can be used in this recipe – either finely ground or as coconut milk. For a thicker curry use finely ground coconut. For a thinner smoother version use coconut milk. 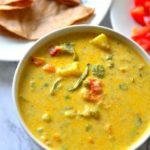 For the freshest tasting version use fresh coconut milk , but then it will no longer be a curry in a hurry! 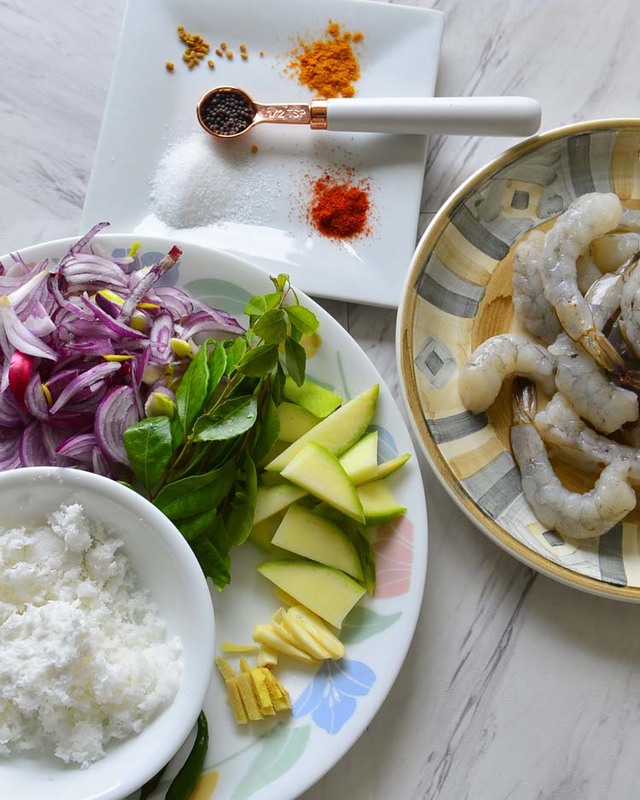 Here are the steps to making the Shrimp Curry With Raw Mangoes in pictures. In Kerala, fish curries are usually made in earthen pots called Manchatti . The black pot you see in the pictures is one of these. If you have a clay pot make the curry in it. If not use any non reactive cookware – in other words this is not a dish to make in cast iron pan that is not highly seasoned or in an aluminum pan . Do not overcook the shrimp, if it happens slow cook for 30 more minutes for the protein to relax. 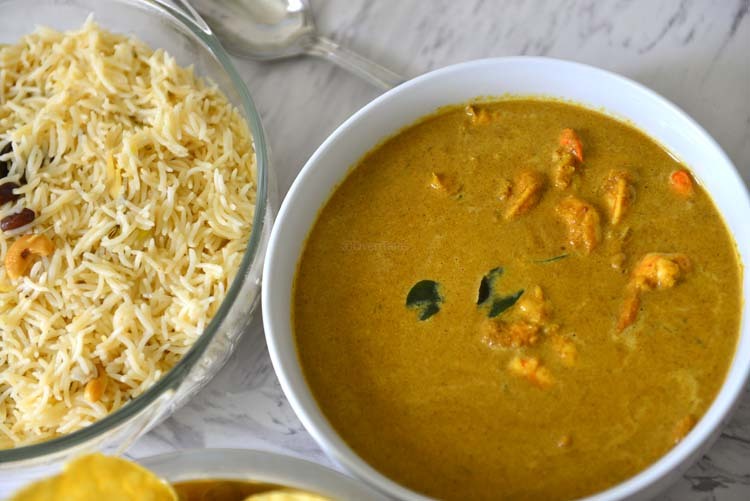 This is popular Kerala dish where shrimp is cooked with raw mangoes in a flavorful coconut based curry. Clean and devein the shrimp. Skin and slice the mangoes thin. Slice the shallots, ginger and garlic into thin strips. Slit the chilies for spicy curry or leave it whole. Grind the coconut into a smooth paste with a few table spoons of water. If the mango is tart add ½ C to a pot along with ½ C sliced shallots , ginger, garlic chilies, turmeric powder and chili powder. Add 1 C water and bring it to a rolling boil. Simmer for 5 minutes. Add salt and taste , if needed add more mango slices to make it more tart. Increase the heat and add the shrimp. Stir and cook for 2 to 5 minutes until the shrimp turns opaque. Reduce the heat and add the ground coconut paste (or thick coconut milk or canned coconut milk). Stir well , taste and adjust salt if needed. Turn off the heat as soon as it begins to simmer. Add a few tablespoons of hot water if you want to thin the curry. Use as many or as few green chilies as you prefer. Leave the chilies whole for a less spicy curry , slit them to make it spicier. Store bought fresh/frozen shrimp might have added sodium. It is always better to start with less salt and adjust later. Coconut milk can be substituted for ground coconut. Use roughly the same amount. Adjust to taste. If using fresh coconut milk - cook the mangoes in thin milk instead of water and finish the curry using thick coconut milk in the end. You gotta love shrimp for the quick win… I love the sound of this, Indian food is a real favourite of mine but I am much more familiar with North Indian food than southern Indian, I really must give this a try! Do you get raw mangoes there , Brian ? If so you must . The flavors will be surprisingly different compared to north Indian fare. This is my kinds curry, I love south Indian, Sri Lankan dishes so much! It looks divine, absolutely mouthwatering. 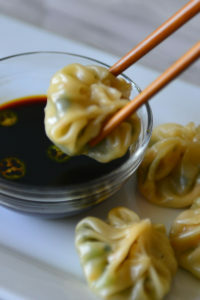 Definitely a recipe that I will be saving and making very, very soon. Lovely ! 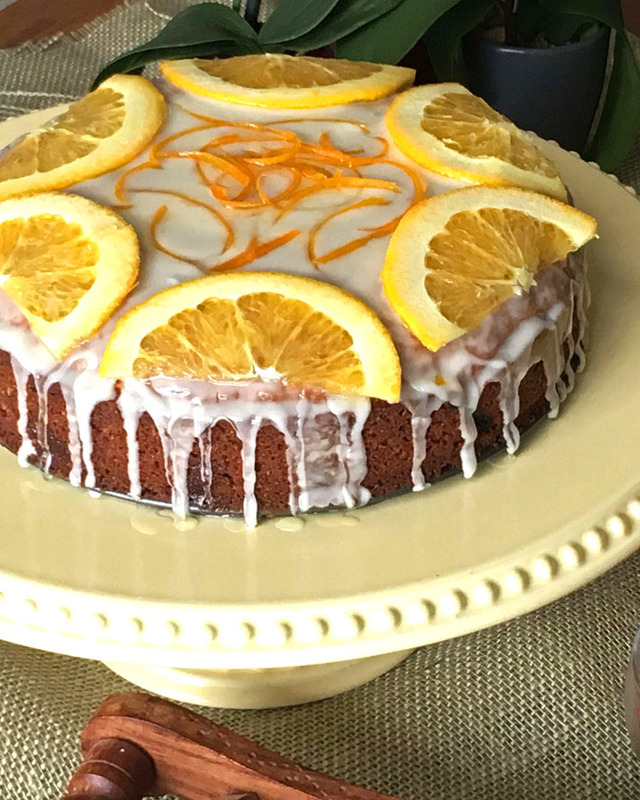 If you love the tropical coastal flavors, this will surely be a hit. Thank you for stopping by ! Thank you for your kind words. Hope you try it ! This looks so tempting, Syama. We have similar curries in our Goan cuisine too. I love Goan flavors ! We stayed at a homestay once and my kids still talk about the fried prawns !